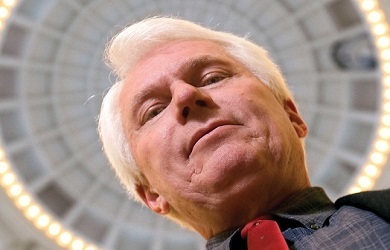 As Brian noted earlier today, for the third time in the last two months, the American Family Association has been forced to remove another post written by Bryan Fischer in an effort to distance itself from his unmitigated bigotry. Shortly thereafter, Fischer wrote a post claiming that welfare needed to be ended because all it did was give money to African Americans who “rut like rabbits” and that too was yanked down by the AFA and replaced with a new version that tried to erase that outrageous statement. Now Fischer has demanded that every Muslim immigrant who seeks to come to the United States must “convert to Christianity” and once again the AFA has removed that post and replaced it with one that says exactly the opposite. 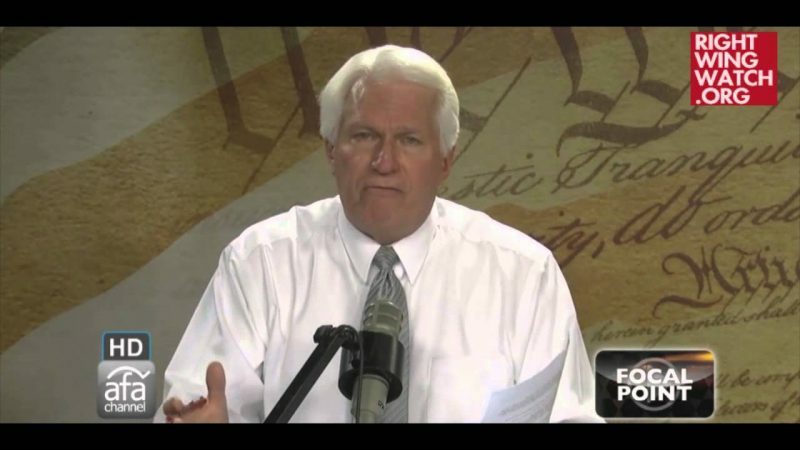 So let us ask a question we have posed before: just when does Bryan Fischer speak for the American Family Association? Unless otherwise noted, the opinions expressed are the author’s and do not necessarily reflect the views of the American Family Association or American Family Radio. So we know that when Fischer says that Native Americans deserved to be wiped out, African Americans rut like rabbits, and Muslims need to convert to Christianity, he absolutely believes it, even if the AFA later changes it and tires to pretend otherwise. Which brings us to the question of why Fischer’s posts keep changing? If, as the disclaimer he posts says, the views expressed are solely Fischer’s and do not reflect the views of the AFA, then why do his AFA posts keep changing in ways that seek to erase his naked bigotry? It’s certainly not because Fischer doesn’t believe what he originally wrote. He absolutely does and he says so himself. Obviously, the AFA realizes that Fischer’s bigotry does reflect upon the organization and that is why they are continuously changing his posts to try to rein him in. The AFA cannot place a disclaimer on Fischer’s bigoted rantings claiming that his views do not reflect the views of the organization and, at the same time, keep editing his posts in an effort to distance the organization from his bigotry … especially not when they are also giving him two hours a day to spout that same bigotry on their radio program. The AFA either needs to own up and take responsibility for the relentless steam of bigotry that pours from the organization’s Director of Issue Analysis and most prominent spokesperson or cut ties with him altogether … because, frankly, the only way the AFA can legitimately claim that Fischer’s bigotry does not reflect the views of the AFA is if the organization actually stops giving him the platforms from which to spew that bigotry.